Many Elysians have never been to Earth since by nature they're in danger the very second they step through the portal, but Earth is eclectic and open-minded enough now that Elysians can wander at will (especially around Halloween) as long as they are extremely careful to hide their nonhuman traits. 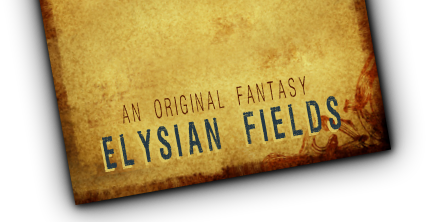 However, many Elysians would rather avoid Earth, having nothing but bad history with their ancestral homeland, and Elysians and Terrans alike have been known to go "missing" or be otherwise punished when caught up in the Old Society's continued efforts to keep nonhumans secret and safe. Nor does Xanth take kindly to those who expose her children. When posting in this forum, please specify your location in your topic description (eg. Giza, Egypt).